Read part 1 of the report. Before I continue to part 2, a word about timing. Some of you may ask why it took me so long to publish my impressions of an event that happened last week (which, in Internet time, is ‘way in the past’). The thing is, I prefer to live the reality, rather than be outside it and look into it through the phone or tablet screen. As Louis CK would say, ‘the resolution on reality is amazing, it is super HD’, which is way better than even the new iPhone 6. Hence I make records of events as quickly as I can and get back to, you know, be in them. On with the event. Day 2 of nodeconf.eu started with the front-end track, with Alex Liu from Netflix dazzling us with the radial approach they took with Node.js and Dust.js when it comes to A/B testing various designs. What is unique in this approach is that A/B testing is not done at a load ballancer level. A traditional approach would see two apps serving the same routes and the ballancer (such as Nginx) routing requests to instance A or B using some routing rule, and then measuring the outcome. Netflix took Dust.js partials to a completely new level by testing out many different combinations of designs within the same app or page, and testing more than A and B (there is C and D and E etc.). Of course, common sense suggest this is very hard to manage manually, hence their approach to use a registry that applies packaging rules and puts together distinct combinations of parts that form a particular test (they are served from CDN for the next person participating in it to cut on the processing latency). That, plus I got a kick of Netflix being among the users of Dust.js that we are also using. 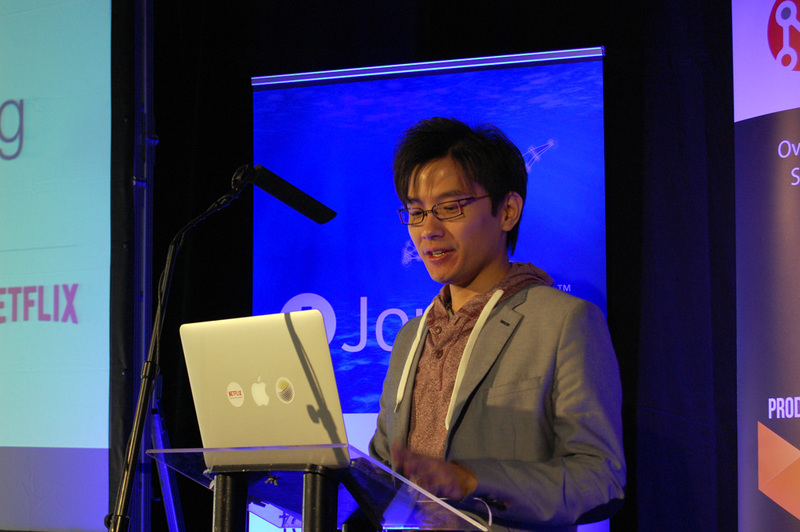 Alex Liu from Netflix on Node.js/Dust.js A/B/C/D/E/F testing. You may know Matteo Collina already from my blog posts because he wrote the MQTT NPM module we are using in our own code. 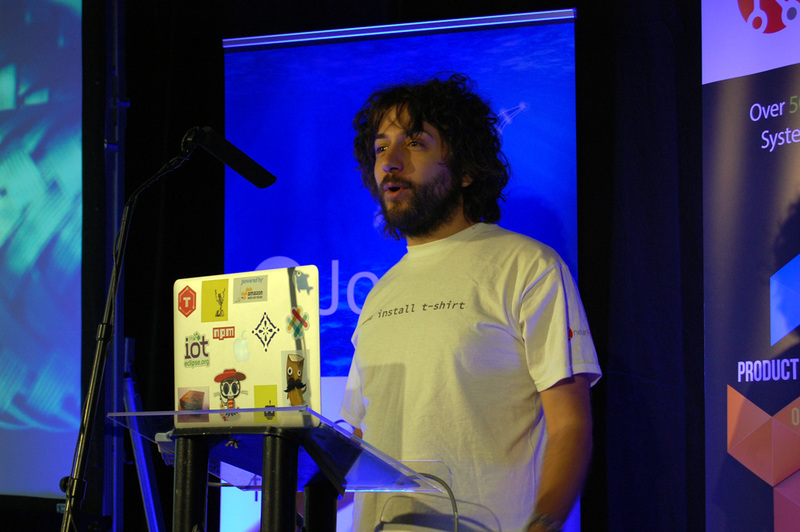 This time around, Matteo talked about the new work that is attempting at make communication between micro-services possible without the message brokers. This work is inspired by libchan by Docker team that is written in Go. Matteo and my internet buddy Adrian Rossouw are collaborating on providing a Node.js version as part of the project Graft. Matteo Collina talks about project Graft. 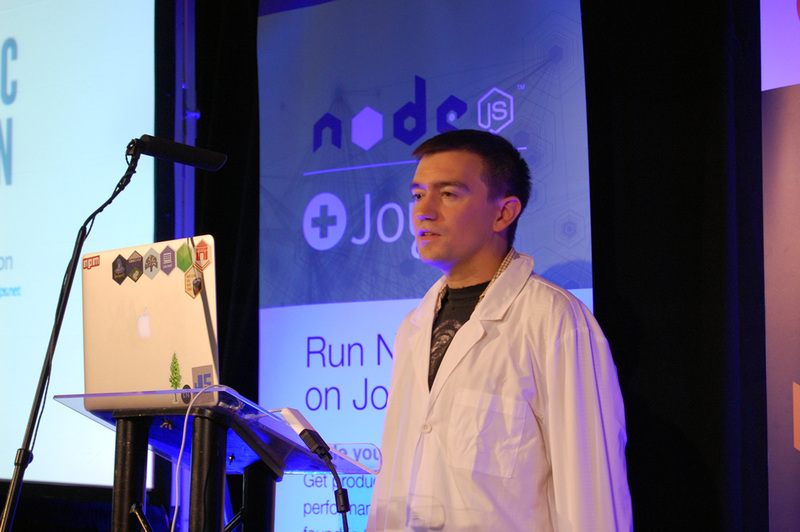 Jake Verbaten shared the nitty-gritty of writing Node.js services in Uber, where everything you do needs to be up all the time, and run on a multitude of machines. He highlighted all the extra steps that separate anything you make from the day it is ‘productized’. Jake showed the tools Uber uses for this process, including the tool they call ‘potter’ (will be open-sourced at some point). It gets all the scaffolding going for a project, including the repo, continuous integration server, and monitoring. 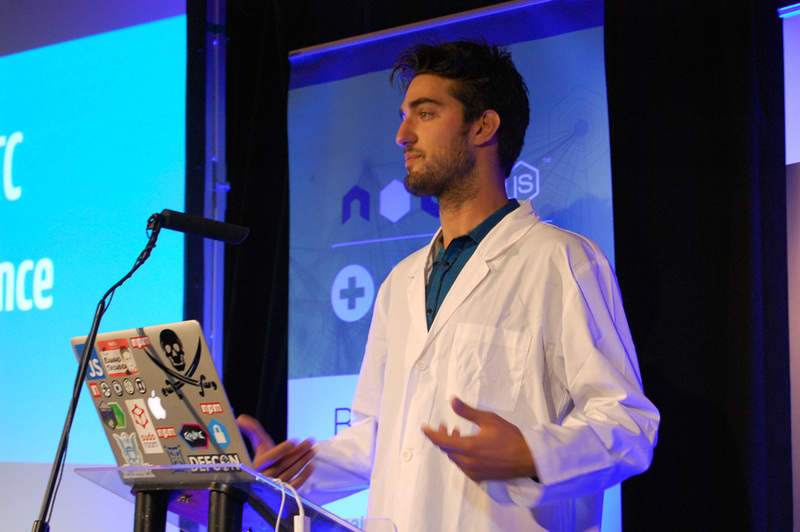 Jake Verbaten on production-grade Node.js services at Uber. Thorsen Lorentz on disturbing secrets about how V8 goes about running your code. 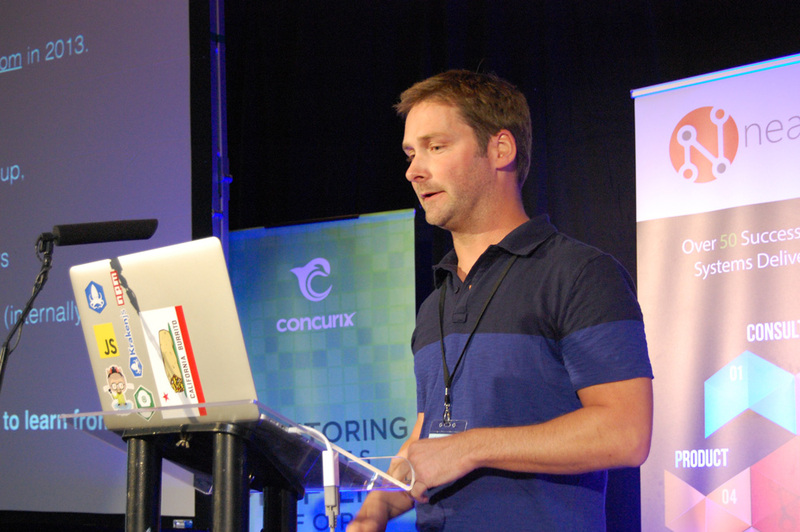 After the break, Bert Belder from StrongLoop kicked off a Node Core track. StrongLoop is a company build around helping others succeed with Node.js, and has the most corporate contributions to the upcoming 0.12 version, as well as the current 0.10 (outside of Joyent, of course). Bert has invited the audience to ask for fixes in node, express, node inspector and other areas. 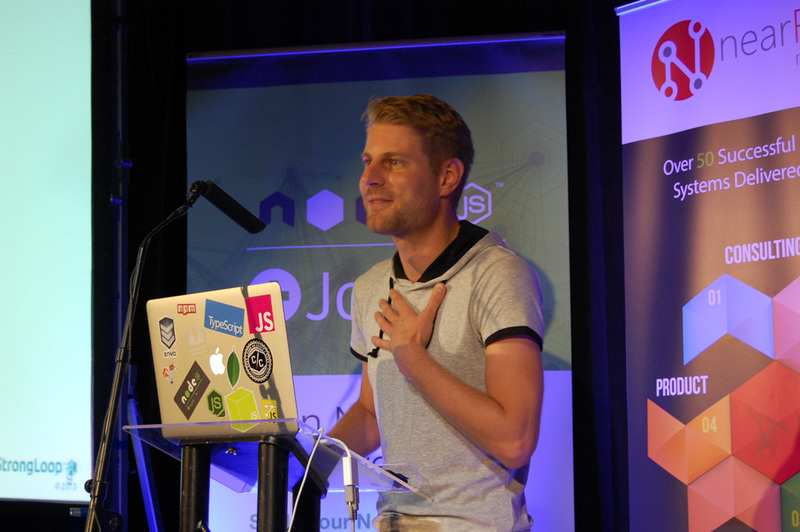 Bert Belder from StrongLoop on the upcoming 0.12, Node.js community, and what StrongLoop can do to help. Fedor Indutny held up to the stereotype that Russians are scary good at math by taking us down to follow the white rabbit of TLS encryption. His credentials (see what I did there): he is the author of the TLS module for Node.js. Of course, most of us just want encryption to work and don’t care how, but it was fun to peek behind the curtain at RFC 5246 and find out more about it. He spent the rest of the talk walking us through code snippets of setting up the server with tls.js and exchanging encrypted hello’s. Fedor Indutny on the wonderful world of TLS encryption. 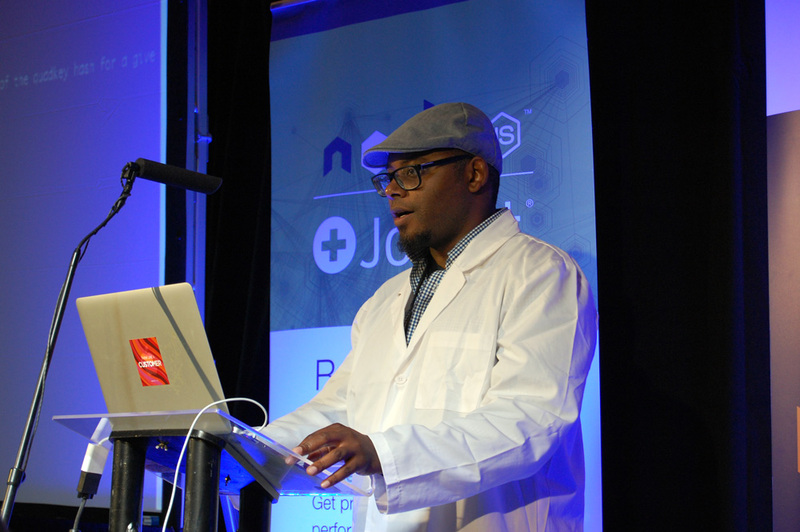 For the second time at this conference, TJ Fontaine went into the dark allays of tracing Node and finding out what is happening when you launch ‘node app.js’. 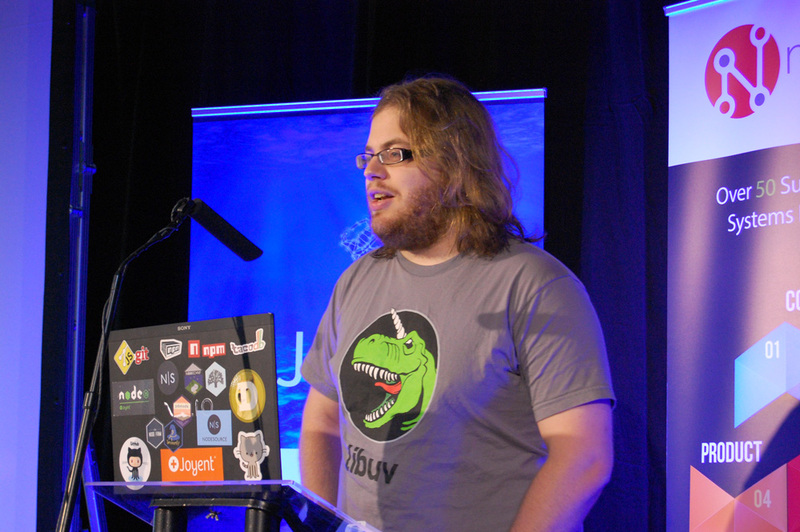 Apart from replicating Node graphics on T-shirts and the backs of his laptops, TJ’s favorite pastime is debugging v8 core dumps on OSX and Linux using lldb-v8. I got to see more V8 detritus than I saw in a – ever? Golden takeaway – please, please, please name your functions – debugging anonymous functions postmortem is no fun. After lunch, there were more workshops – more debugging with TJ and hands on with NearForm’s own nscale deployment solution. Unfortunately, my jet lag finally caught up with me and I had to crash. Our afternoon event involved vising a local hurling club (an Irish sport involving an ash bat and a ball, although hitting a fellow player instead is fine too). We got to make a nice group photo on the green. Our evening entertainment took us to Waterford on the sea shore. Lots of Guinness (I swear it tastes better here than from a can back home! 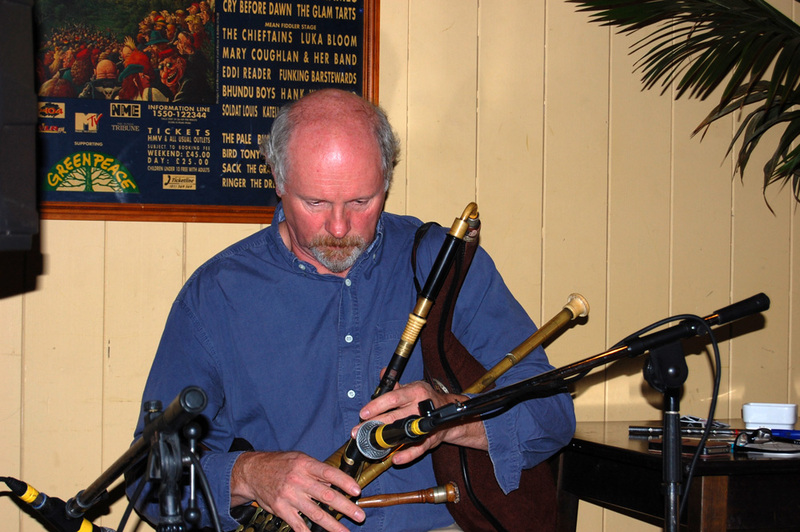 ), and some traditional Irish music, including wonderfully quirky Irish pipes. Continue on to the third and final installment of the report. Shady’s back, tell a friend! Fresh from the green grass of Ireland where I attended (and presented) at this year’s nodeconf.eu, I am now back to report on it as promised. This year’s conference is a second instance of a format started last year by Cian Ó Maidín and the friends from Near Form. 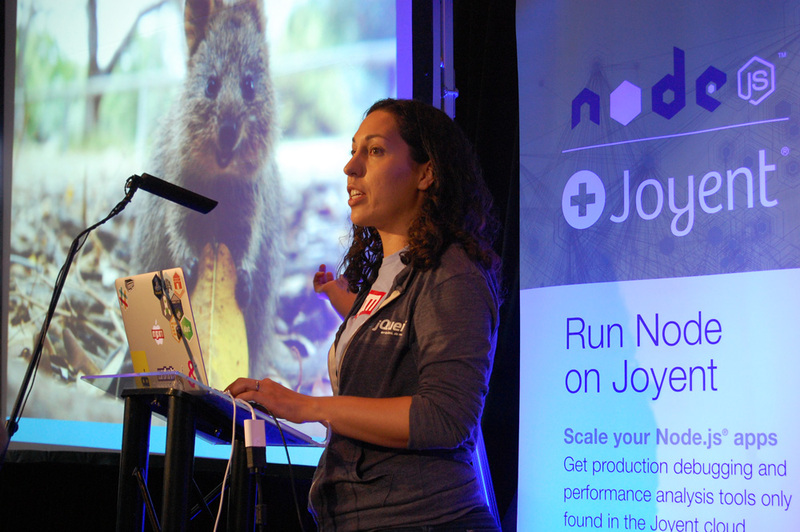 The goal is to carefully curate talks across the Node.js community to ensure quality over quantity. I had a great pleasure attending the conference, particularly as I was one of the ‘carefully curated’ speakers this year. 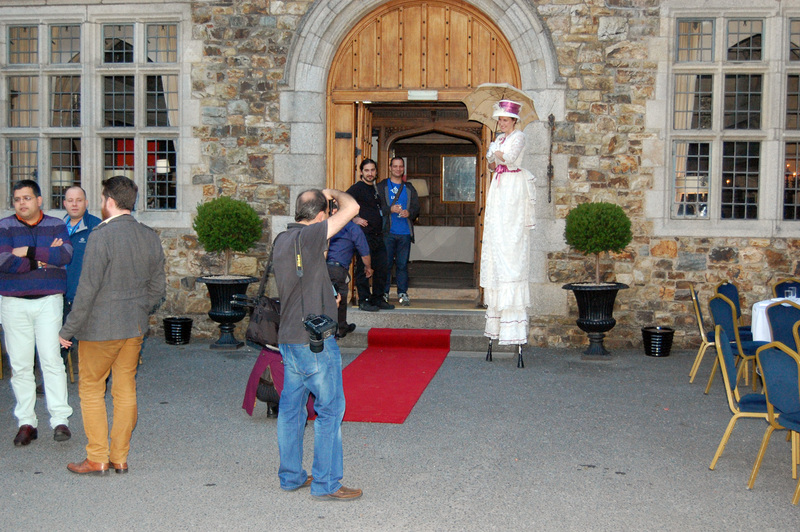 What adds a particular flare and sparkle to the event is the location – an actual Irish castle in Waterford, a south-eastern town of Ireland and the oldest of them all. Having coffee in the lobby of the Waterford Castle, being early for @nodeconfeu. Fell asleep in the bus, almost missed my exit #facepalm. 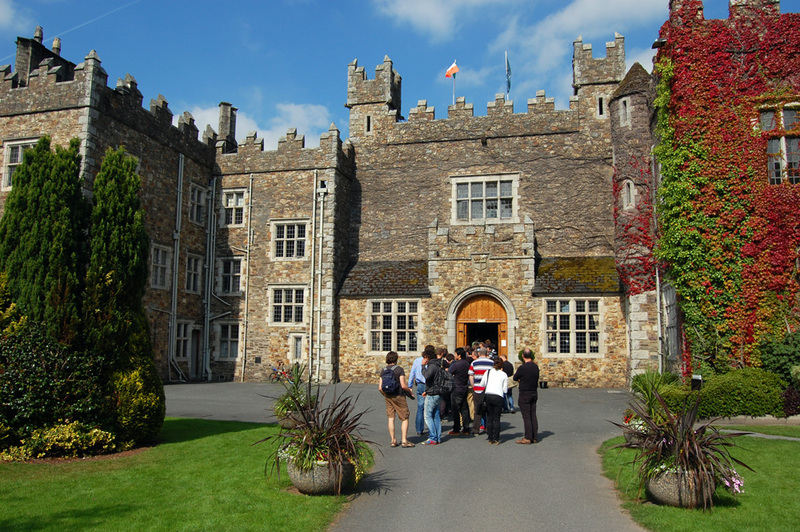 Getting to the Waterford castle involves an excerpt from the movie Plains, Trains and Automobiles – an itinerary that involves flying to Dublin, catching a bus to Waterford, then switching to a taxi that at some point needs to go over the river Suir via a private car ferry to get to the castle on the island. 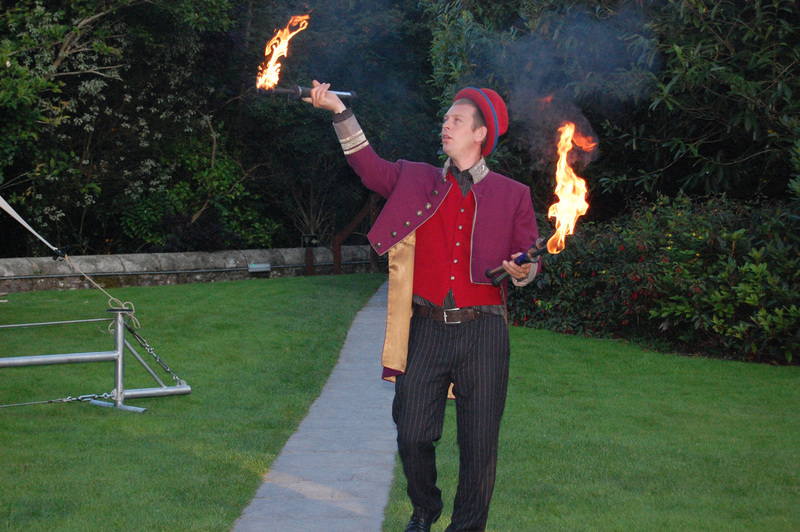 The event started in the evening with a welcome reception that involved circus acts – a very ‘tall’ lady (see above) and a guy literately playing with fire. 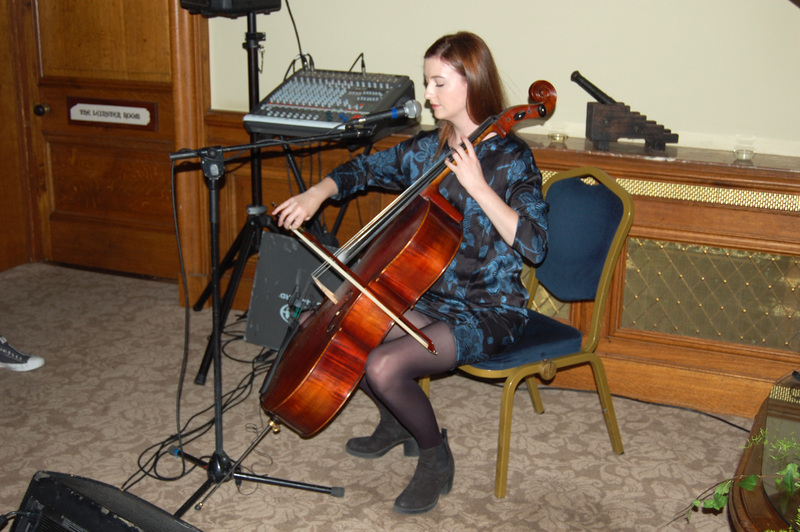 After-dinner entertainment included a lovely young lady playing a cello and singing in a way that fuses transitional Irish music and modern sensibilities – perfect for Irish hipsters (they do exist, don’t they?). Unfortunately her name escapes me – if you know it (and have a link to her home page), please drop me a comment (Edit: @fritzvd was kind enough to point out her name is Alana Henderson – thanks!). 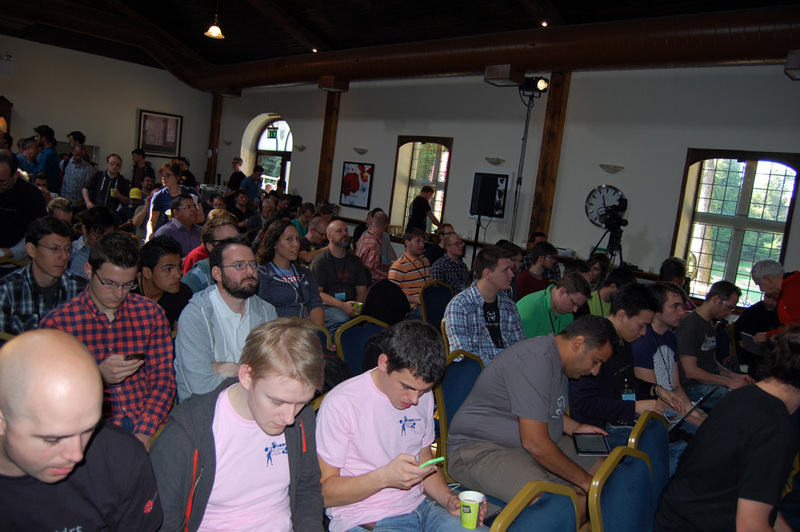 Nodeconf.eu was held in a club house of the nearby Golf Club (part of the same Waterford Castle resort). 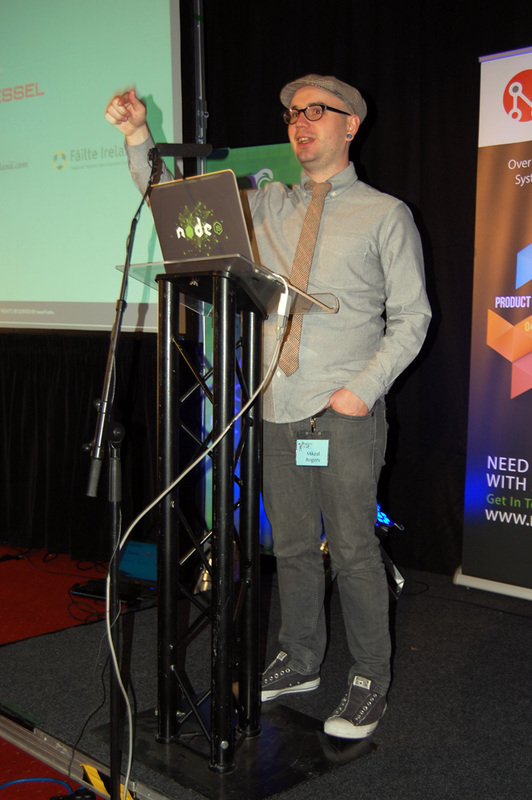 For the next three days, our master of ceremonies was Mikeal, who was well known to most attendees (just look at your apps and if you require ‘request‘, you know him too). Mikeal tells people to sit down so that we can start. 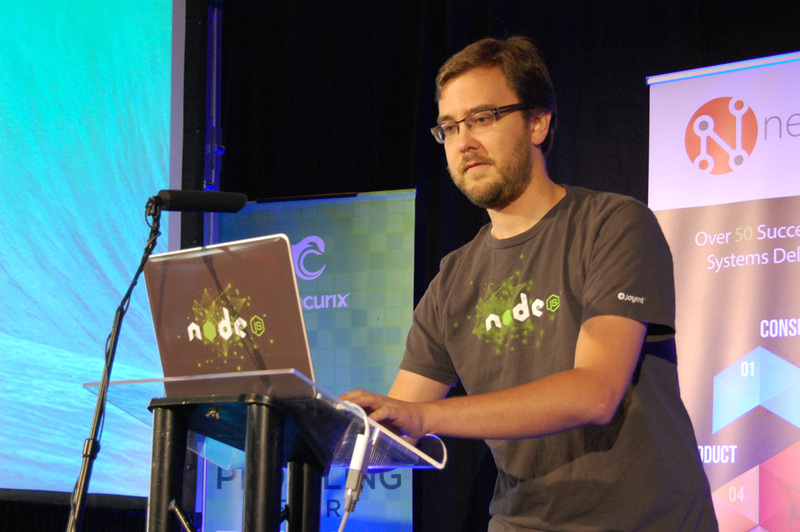 TJ Fontaine delivers the State of Node address. 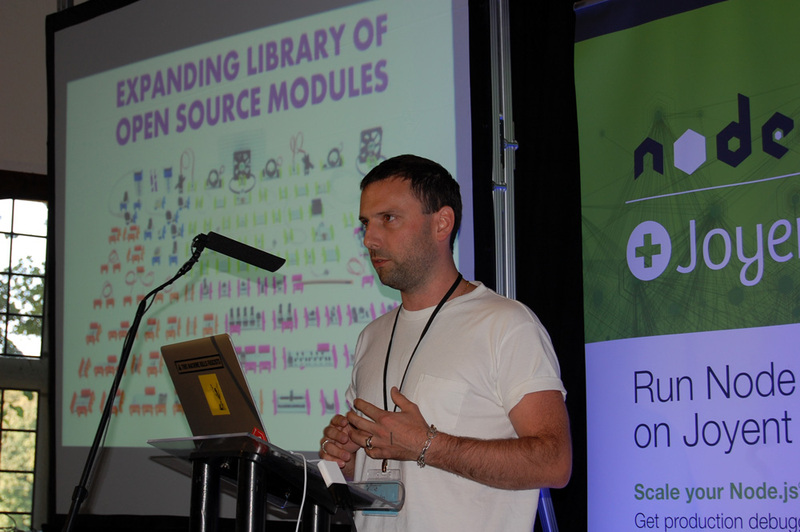 NearForm’s own Richard Rodger kicked off the Micro-Services block with the accumulated experience of deploying micro-services (and in particular Node.js micro-services) in production. He highlighted some natural advantages (scalability, flexibility of deployment) but also disadvantages (added latency). From his real-world experience, he concluded that business logic should be in the services (no core monolith), that developers should resist Tower of Babel (the temptation to use many languages and stacks) and to assume you can design upfront (services are ‘discovered’, not designed). Nevertheless, he reiterated one of the strong suits of micro-services – the fact that you can change your mind, swap databases mid-project (or anything else). 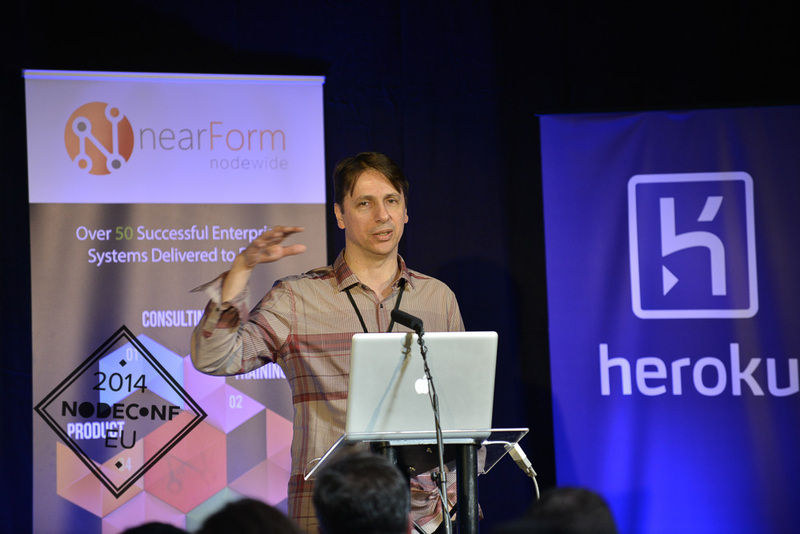 NearForm’s Richard Rodger kicks off the Micro-Services block. 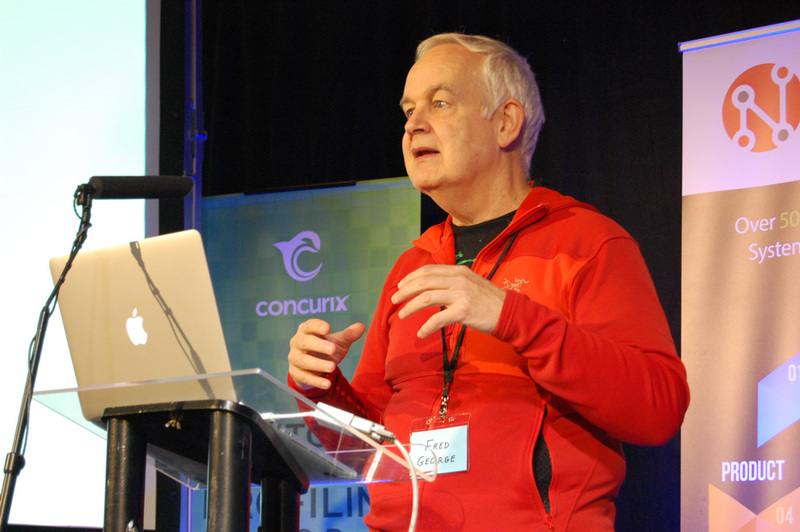 Clifton Cunningham focused on a very hard problem of micro-services – the fact that while multiple services are responsible for various parts of the system, pages still need to share some content. He enumerated options used in the past – client-side stitching using Ajax, front-end server, Server Side Includes (SSIs), Edge-side includes (esi) etc. 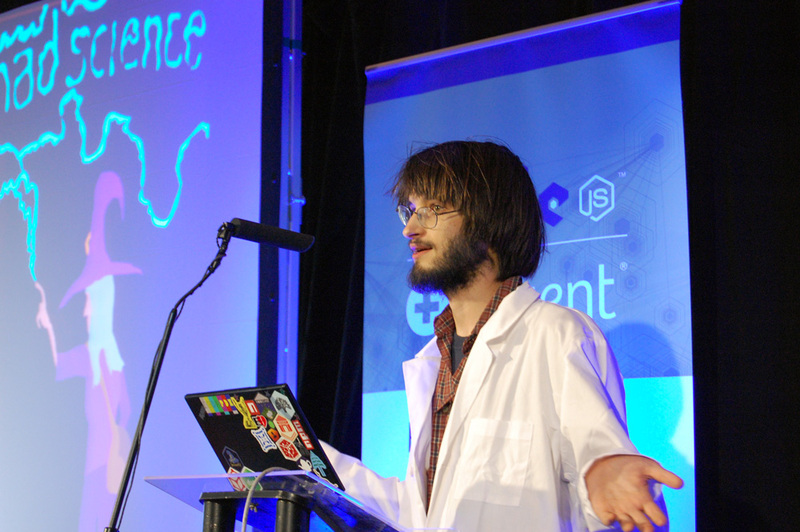 He presented his team’s take on the problem – an open-source module called Compoxure that has a number of advanced features to deal with the problems normally faced in production – performance, latency, failures and authentication. 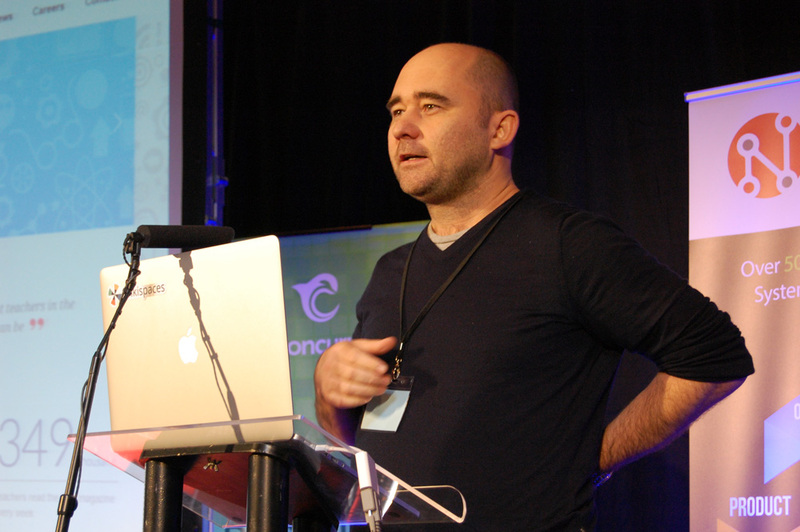 He also addressed the problem of delivering CSS and JS for this shared content across the micro-services. Then it was time for me. My take was how my team in IBM DevOps Services decided to pursue micro-services in general, and Node.js in particular as we started evolving our system. I don’t need to go into details – this whole blog is a weekly chronicle of our journey. I added a twist from a position of doing Node.js in a large enterprise – the need to legally vet a large number of Node.js modules (causing legal to hate us) and the complexity of deploying a large number of services in a secure manner (causing OPS to hate us). 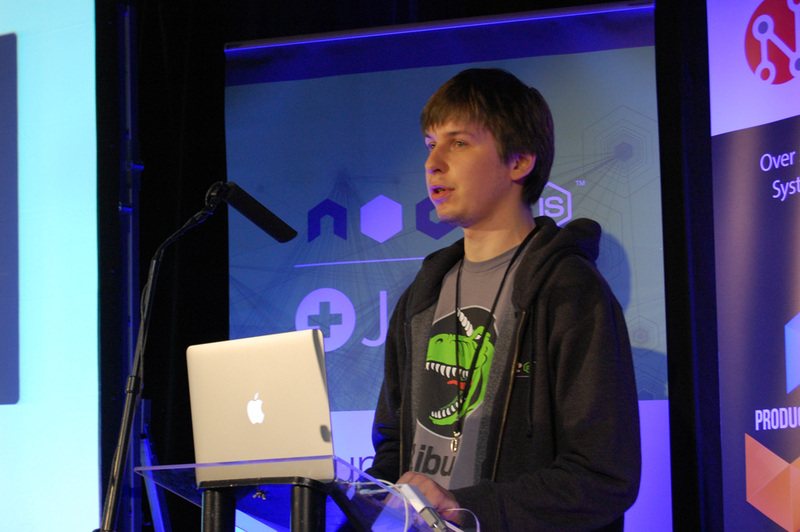 Dejan Glozic on Node.js micro-services at IBM (photo courtesy of Louis Faustino via SmugMug). 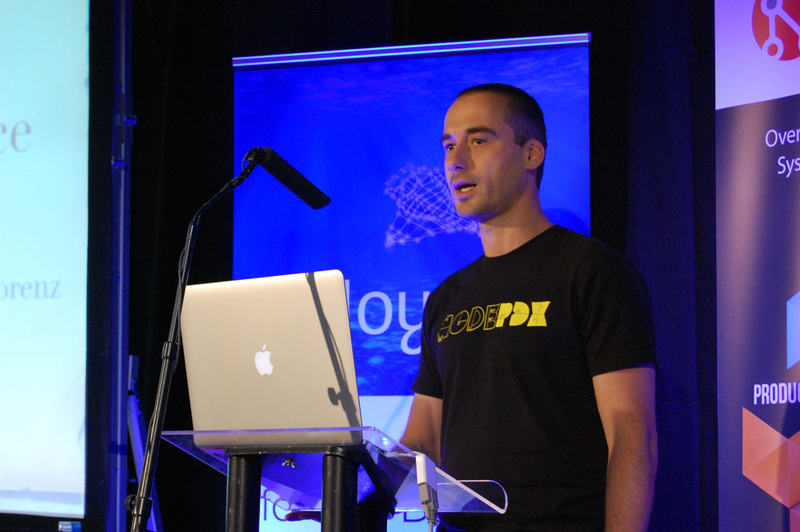 The last speaker in the Micro-Services block was Fred George, bringing his wealth of experiences building micro-services in a number of real-world projects. 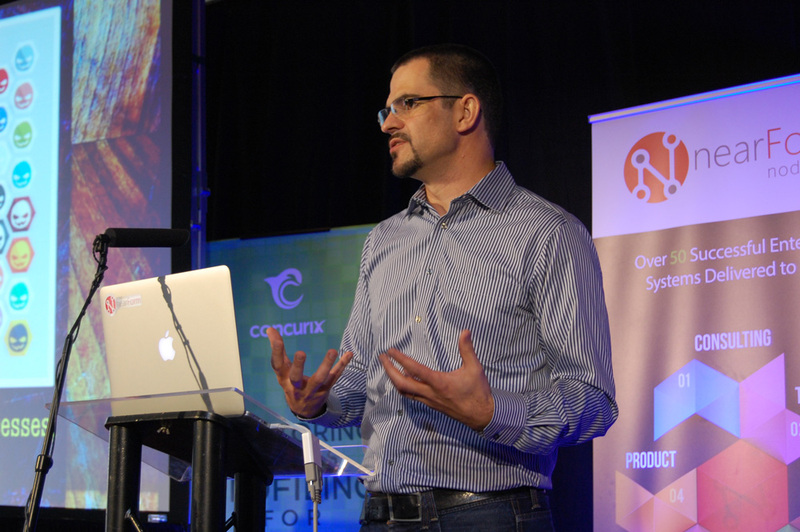 He brought forward several examples of projects using different technologies and architecture, unified in the fact that most of the time an event based (asynchronous) approach was a better fit than synchronous. Out of that experience he extracted a concept of a system where all services receive all the messages all the time, but the messages are semantically classifiable, forming ‘rapids’ (all events), ‘rivers’ (themed events) and ‘ponds’ (state/history). 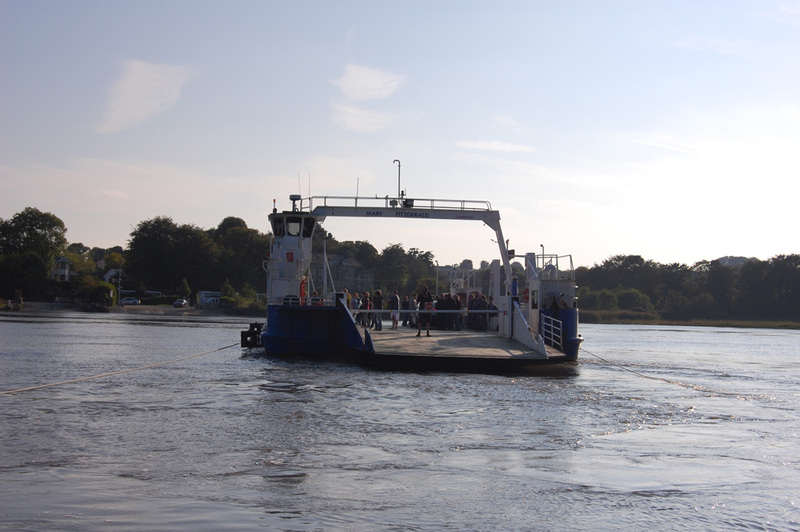 Fred George on rapids, rivers and ponds. After a coffee and JS cupcakes break, we switched to the ‘Production’ track, starting with Brian McCallister from Groupon walking us from the familiar experience of a company whose monolith has become so large and unwieldy that it eventually made adding new features virtually impossible. 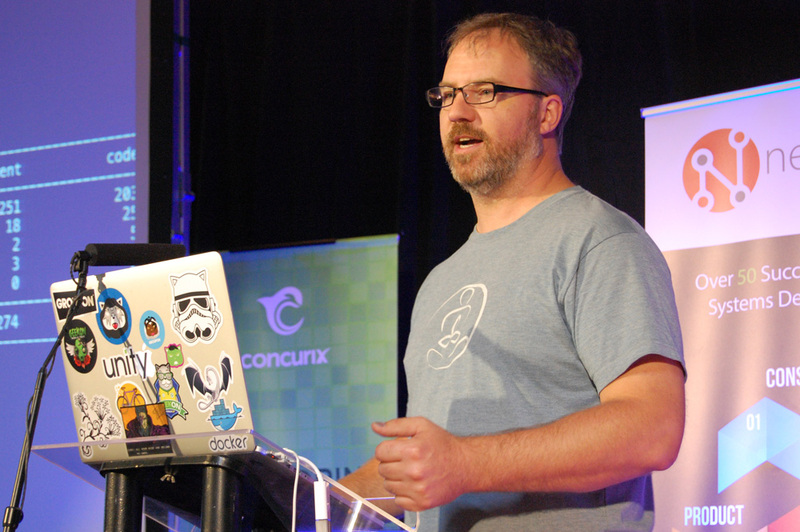 Groupon slowly and carefully migrated their two large installations (North America and Europe) to a micro-service system using Node.js, resulting in unblocking of further evolution, with performance and scalability improvements tossed into the mix. This was in a sense a partial continuation of the micro-service track, considering that Groupon’s new system shares many traits with the ones we talked about in the preceding talks. 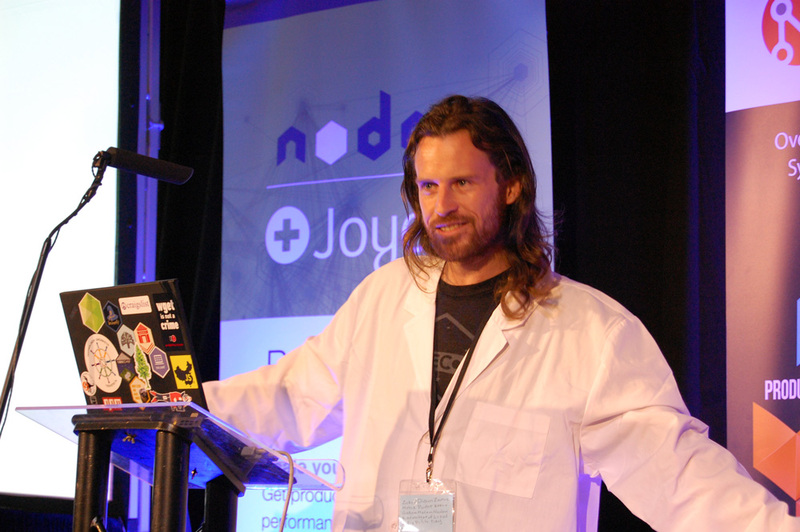 PayPal’s Jeff Harrell on Node.js real world anti-patterns. The last speaker for the day was Aman Kohli from Citi Bank, bringing to us the experience of deploying Node.js to provide back-end services for mobile apps in an environment that is everything but forgiving when it comes to security, adherence to regulations and process. 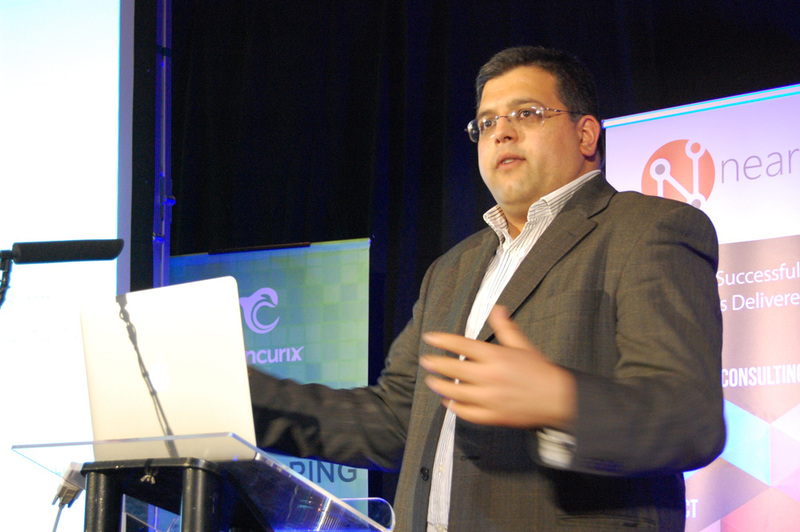 According to Aman, they chose Node because of the async event model, being ideally suited for mobile and sensor apps, the fact that it was approved for internal usage, that it required fewer controls, and due to the good success they had with using Hapi framework for building mobile API services. 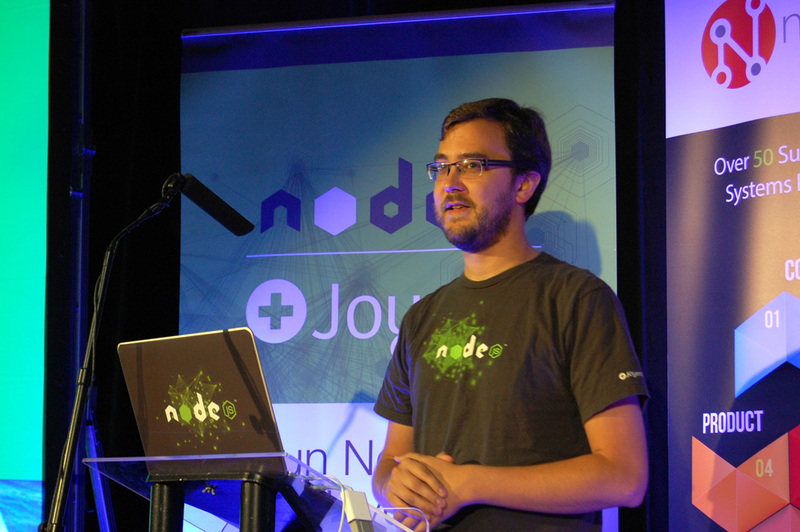 Aman Kohli on using Node.js for mobile services in Citi Bank. At this point it was time to break for lunch. From several choices I picked to attend Kraken.js workshop for my afternoon activity, where I could pick the brains of Jeff Harrell and Erik Toth from PayPal on the philosophy and the plans for this open source suite we already use in our micro-services. Evening R&R was provided to us with a combination of Irish whiskey tasting (not bad at all, but still prefer Scottish single malt) and a great local folk band treating us with a mix of traditional and Irish-treated covers. Seriously one of the best live acts I've seen in a long while here at @nodeconfeu tonight. Are they on Twitter? Continue to the part 2 of the report.